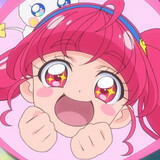 Need a fast PreCure catch-up? The stars of the current season can help! 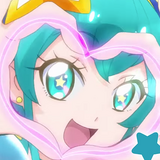 A new 3-minute video sums up the events of Star☆Twinkle PreCure so far. Check it out after the jump! 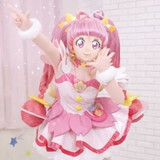 One week after its excellent opening in Japan, the PreCure franchise's official YouTube channel posted a credit-less full version 3DCG dance ED movie from the PreCure Miracle Universe film, including a brief dance instruction by Cure Star, the protagonist of the ongoing 16th TV series Star☆Twinkle PreCure. Let's dance with the 15 PreCure girls! 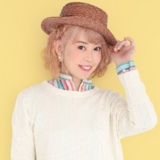 47-year-old anison singer Mayumi Gojo, widely known for the OP theme song for the first PreCure TV series, announced the details about "Mayumi Gojo 20th Anniversary Project ~trajectory of my life~" today. She made her professional singer debut with an insert song for the TV anime Ojamajo Doremi in 1999. Learn more about her memorial project after the jump! The 26th PreCure film PreCure Miracle Universe was released in 229 theaters across japan on March 16, 2019. 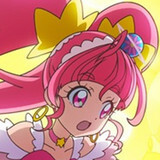 The 70-minute film ranked third in its opening weekend with 248,351,400 yen from the 221,579 ticket sales, which was the best opening box office gross for a PreCure film released in spring. Hit the jump for more details. After the broadcast of the main story of Star☆Twinkle PreCure's sixth episode aired in Japan yesterday, a special version ED movie featuring the 3DCG dance ED footage from the forthcoming film PreCure Miracle Universe was introduced instead of the regular version ED. 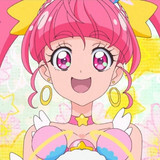 The clip is now also streamed on the PreCure franchise's official YouTube channel. Watch the 15 PreCure girls' new dance after the jump! PreCure Miracle Universe is giving us more sneak peeks of the franchise's upcoming team-up! Check out the girls of Star Twinkle PreCure approaching the factory where Miracle Lights are made. Two new pics are waiting after the jump! The three latest PreCure teams are going on a trip through space, and new images preview two of their destinations! What do these mysterious planets hold? Take a look after the jump! 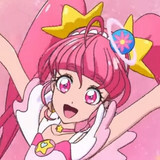 The official YouTube channel for Toei Animation's PreCure franchise has started streaming a six-minute dance lesson video for "WINkuru! 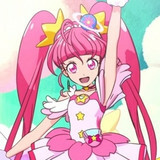 PreCure Miracle Universe☆," the ED theme song for the upcoming film PreCure Miracle Universe, lectured by Cure Star from the ongoing 16th TV series Star☆Twinkle PreCure. Let's practice the dance with her! 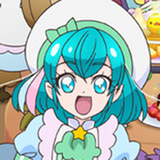 In addition to a special guest appearance in the story, Cure Star from the next 16th PreCure TV series Star☆Twinkle PreCure also appeared in the annual "Pass the Baton" clip along with Cure Yell from Hugtto! PreCure after the broadcast of the 15th series' final 49th episode on Sunday. Check out the special message from the two Pink PreCure girls after the jump!